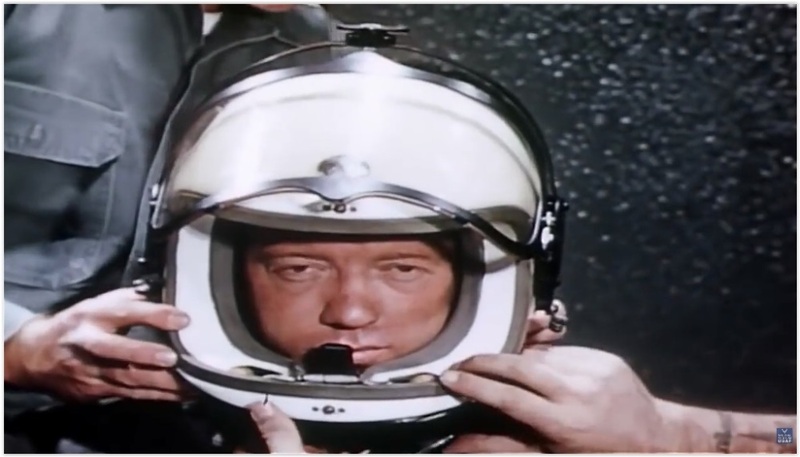 It's been in the news again recently so I'm sure everyone has heard of Captain Joseph Kittinger. 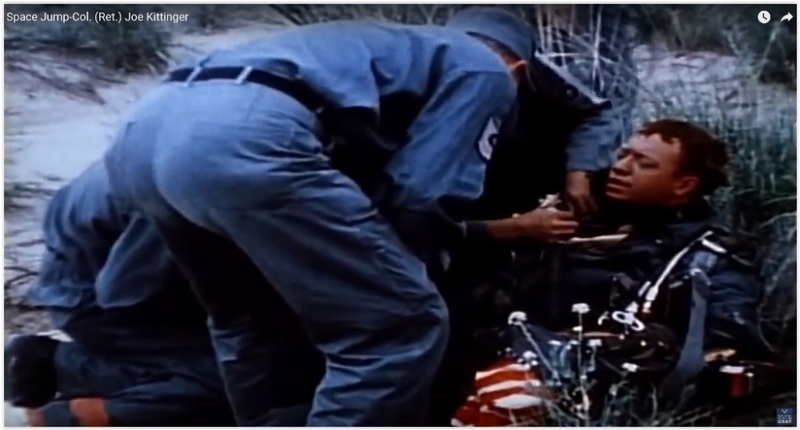 On August 16, 1960 he jumped from a balloon at 102,800 ft and came back to earth safely! I couldn't help thinking that he got to experience a little of what it's like to be a tektite! What caught my eye was that after 13 seconds a 6 ft parachute opened in order to stop 'flat spin'. 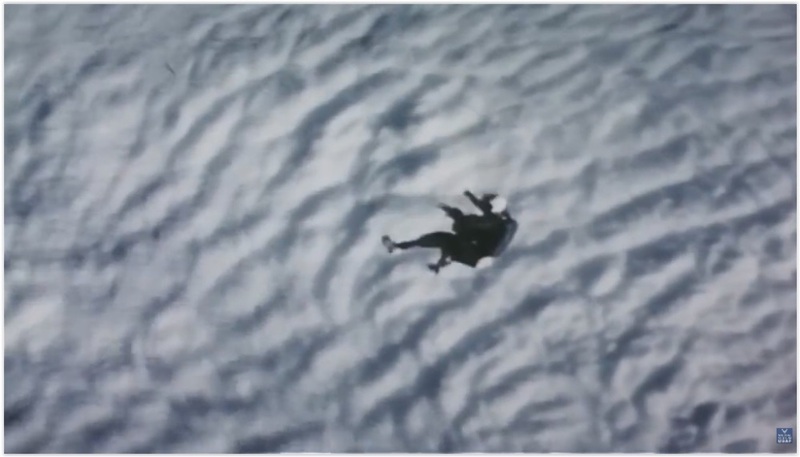 In 1959 a similar jump from 76,000 ft almost cost him his life. 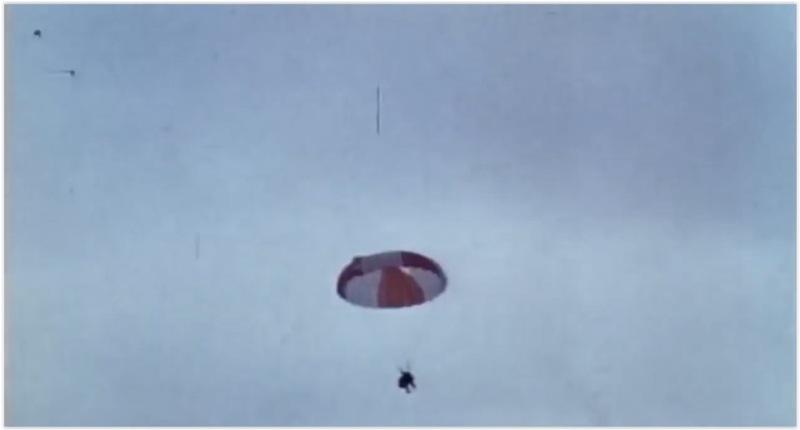 His small parachute, which prevented him going into the 'flat spin', opened after only 2 seconds of free fall instead of 16 seconds. 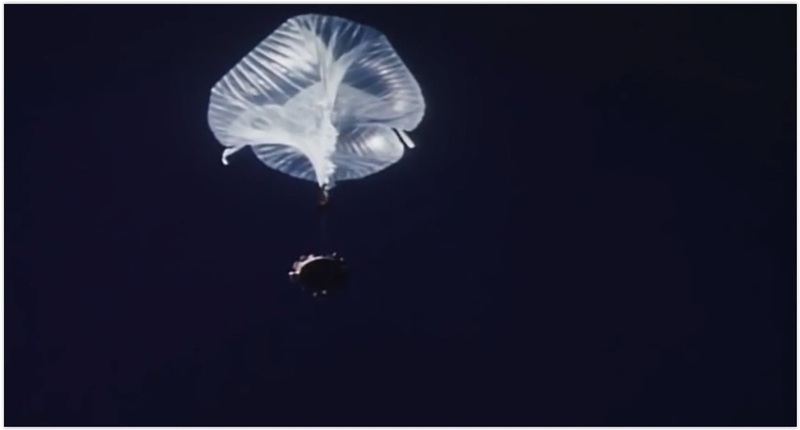 The parachute caught Kittinger around the neck, causing him to spiral uncontrollably until his second parachute opened at 10,000 ft. This 'flat spin' interested me. When an object is falling through a fluid slowly it is stable. As the speed of the object increases, it first starts to tumble erratically, then starts spinning about the axis of least inertia. 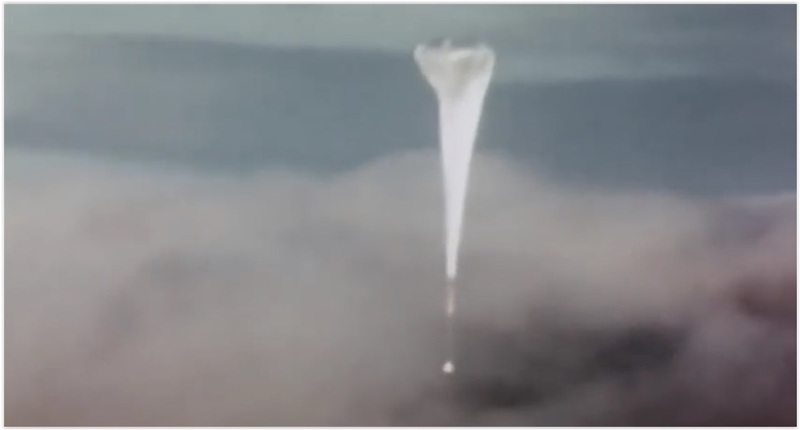 As an object falls through the atmosphere, the tumbling starts at around Mach 0.4 and the spinning at around Mach 0.6. Mach 0.6, which is subsonic, is still relatively slow compared to tektite velocities that would have been hypersonic during the ejection phase. Still, this subject caught my eye. Rotation in tektites is clearly evident, particularly in dumbbells: but how did the tektite get its rotation? Does it come from the original impact or interaction of particles or is it more related to instabilities as the molten tektite was accelerated out of the atmosphere. Again, not being a physicist, just a geologist, is a limitation to me! ABOVE: A dumbbell tektite, formed by rotation when the tektite was in a molten state. 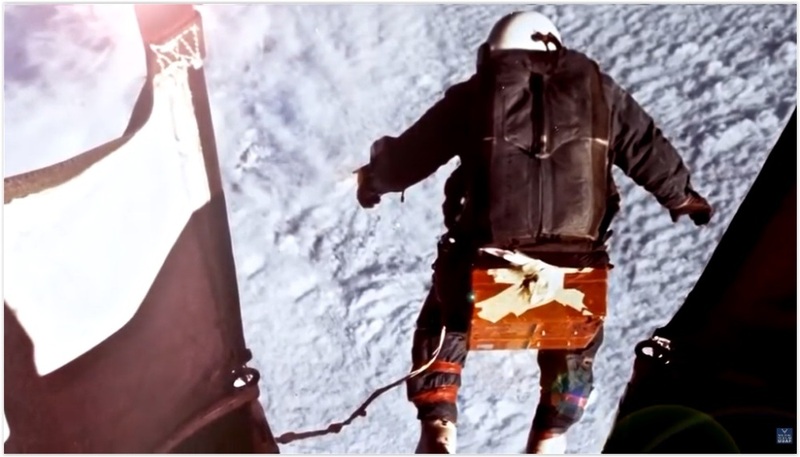 On August 16, 1960, Kittinger made his highest altitude jump at 102,800 feet. This has since been surpassed by Felix Baumgartner who jumped from 127,852 feet on 14th October 2012. Flat spin is a type of autorotation about the vertical axis with a shallow, rotating, downward path. ABOVE: Some images of Kittingers Jump. You can also see the video on You Tube by clicking here.